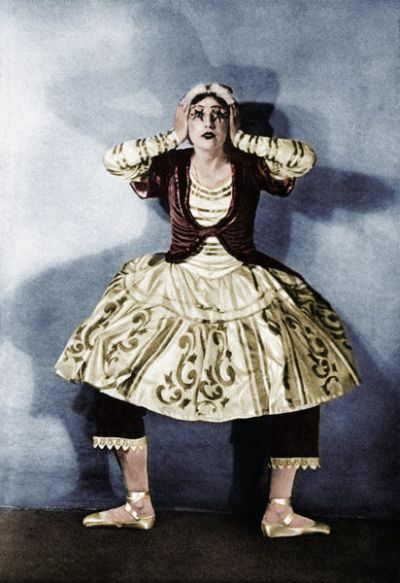 Lydia Sokolova - as the doll in Stravinsky 's Petrouchka. Ballet Russe production. Music by Igor Stravinsky, choreography by Michel Fokine. LS: English ballet dancer, 1896 - 1974. IS: Russian composer, 17 June 1882 - 6 April 1971. Photo by Iris. Colourised version.